In response to media stories and a congressional request about abuse and neglect of developmentally disabled residents in group homes, OIG launched a series of audits that found that these residents often experienced serious injuries and medical conditions that resulted in emergency room visits. OIG also found that up to 99 percent of these critical incidents were not reported to the appropriate law enforcement or state agencies, as required. To address these troubling findings, we gathered together expertise on this issue from across HHS, as well as from the Department of Justice and State stakeholders, to create the Joint Report: Ensuring Beneficiary Health and Safety in Group Homes Through State Implementation of Comprehensive Compliance Oversight. This Joint Report contains workable, holistic solutions that States can use to protect the health and safety of their residents living in group homes. 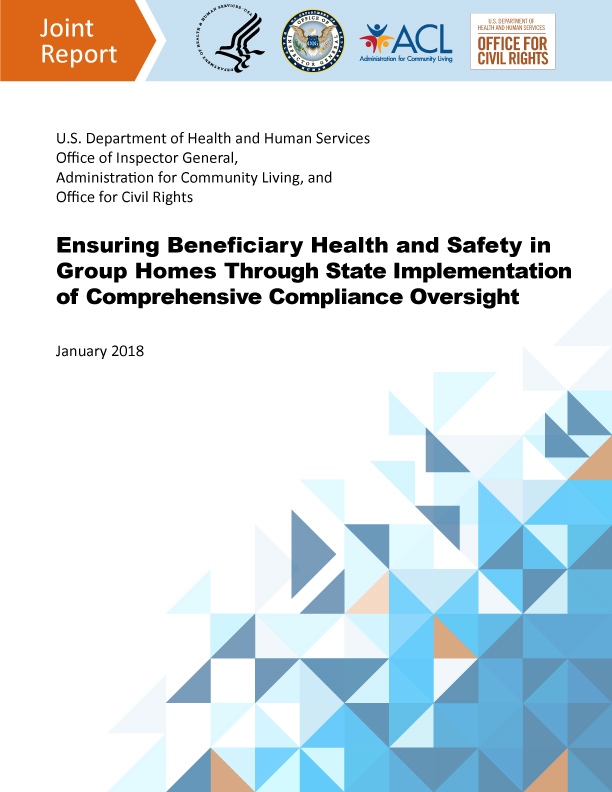 To address these systemic problems nationwide, OIG partnered with the HHS Administration for Community Living and Office of Civil Rights to create a Joint Report with suggestions on how to improve health and safety outcomes in group homes. Building on state efforts to protect people with disabilities in group homes, the Joint Report features suggested Model Practices for States and, on the Federal level, for HHS Centers for Medicare & Medicaid Services. 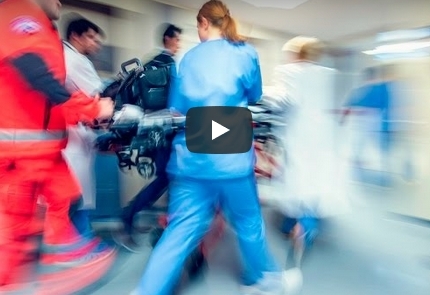 These Model Practices focus on four main areas of handling critical incidents: investigation, reporting, correction, and transparency and accountability. The Joint Report contains several detailed suggestions, including that States should take action where group homes repeatedly fail to report incidents, including imposing fines, suspending of new enrollees to their services and/or cutting off Medicaid Waiver funding or contracts. On February 7, 2018, a panel of experts from across the Department of Health and Human Services discussed workable, holistic solutions that States can use to protect the health and safety of residents living in a group home setting.